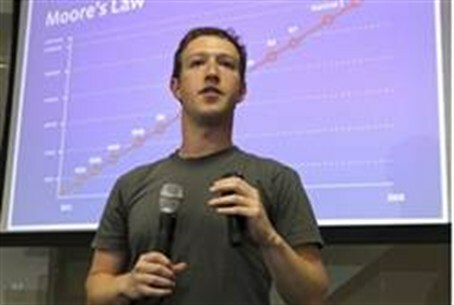 Peres met with Mark Zuckerberg Tuesday as part of the initiative to launch his international Facebook page. President of Israel Shimon Peres met with the co-founder and CEO of Facebook Mark Zuckerberg Tuesday as part of the initiative to launch his international Facebook page, which aims at creating a dialogue with Arabs who live in countries that do not have diplomatic ties with Israel. He described this effort as an attempt to use social networking as a means at mending the divides that governments have been unable to bridge. In an interview with reporters on Monday, Peres reflected on the transforming nature of Facebook and the way in which social media is able to transcend borders and political parties in order to resonate on a global scale. “Facebook introduced the deepest social change, more than political parties,” he said. “He did not exploit anybody; he didn’t make any misuses,” Peres continued, and yet, succeeded in changing social interactions, the way people receive and relay information, and even international political decisions. He said that Zuckerberg’s success shows that, today, individuals are able to accomplish that which only large organizations were able to undertake in the past. The Preisdent added that the benefits of social networking continue to improve and that the current generation is not witnessing the end of the story, but the beginning of the story. What Zuckerberg did, Peres said, “was awaken a new generation, which is more education and more knowledgeable than their parents.” The young generation, he noted, will not tolerate the “poverty, coercion or lack of solutions to problems,” to which their parents became accustomed. He added that the political upheavals in the Middle East are due, to a large extent, to the monumental effects of social networking sites.